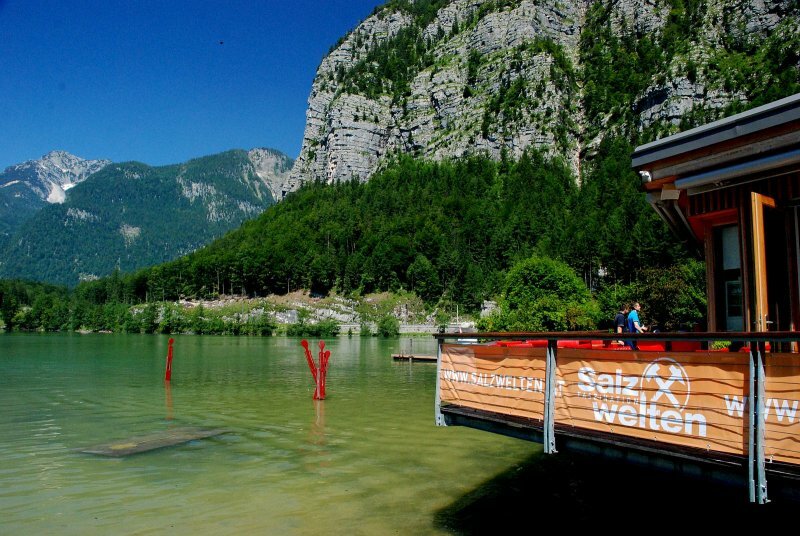 Recreational paradise on Lake Hallstatt: Obertraun lido in the UNESCO World Heritage region of Hallstatt Dachstein Salzkammergut - © Kraft. 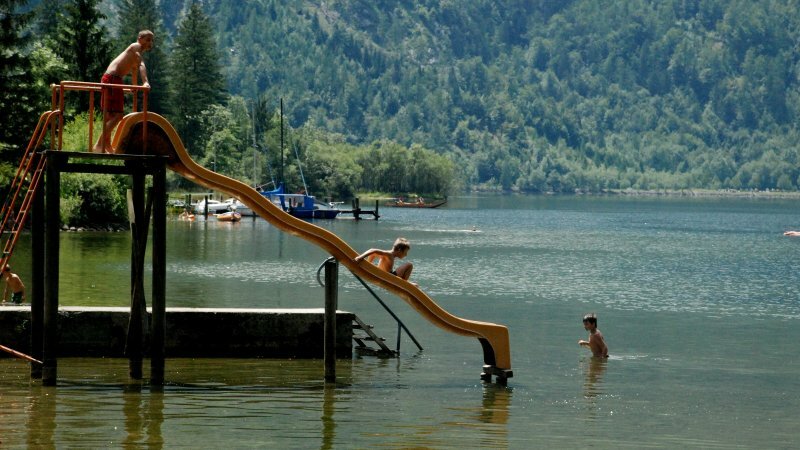 Recreational paradise on Lake Hallstatt: Obertraun lido in the UNESCO World Heritage region of Hallstatt Dachstein Salzkammergut - © Viertbauer. 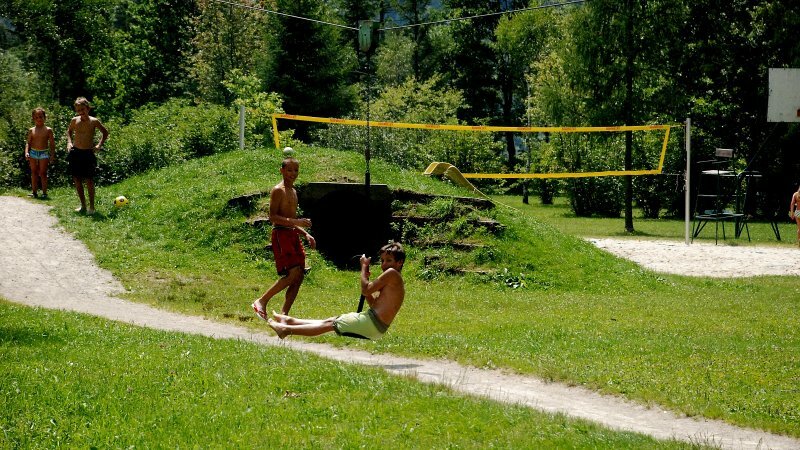 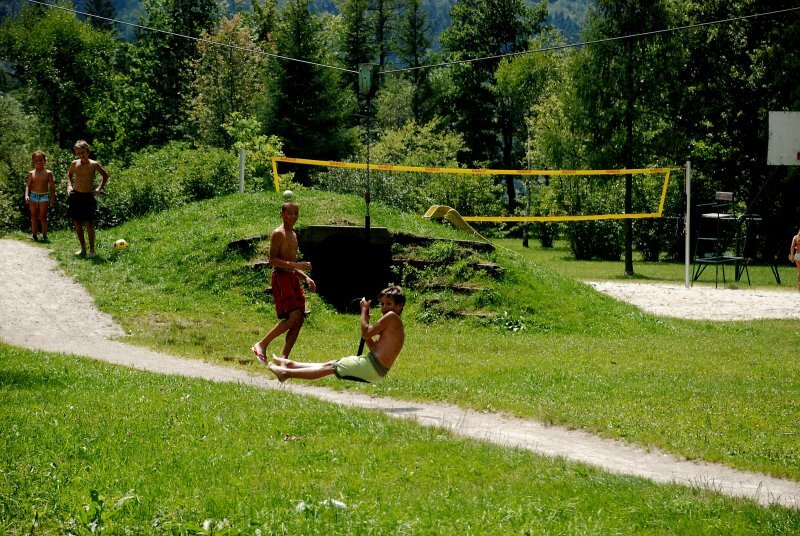 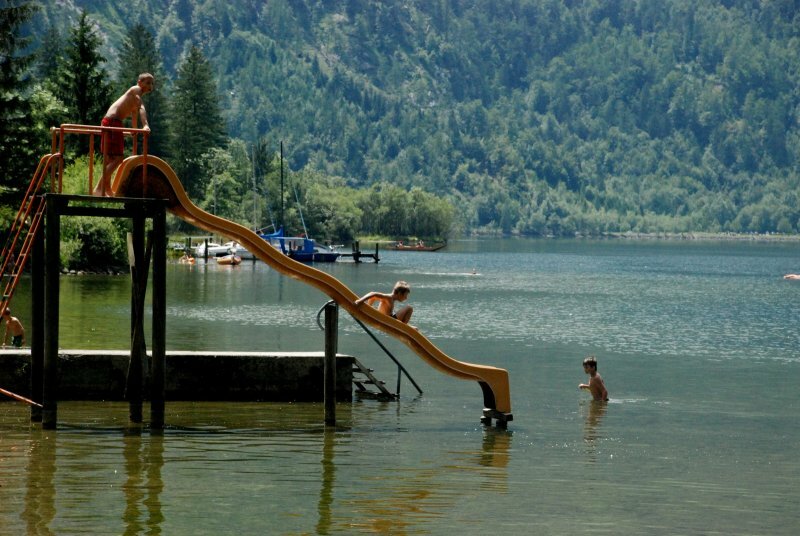 Summer, blue skies, sunshine: Indispensable on a summer vacation, in the Salzkammergut, is the extensive bathing fun. 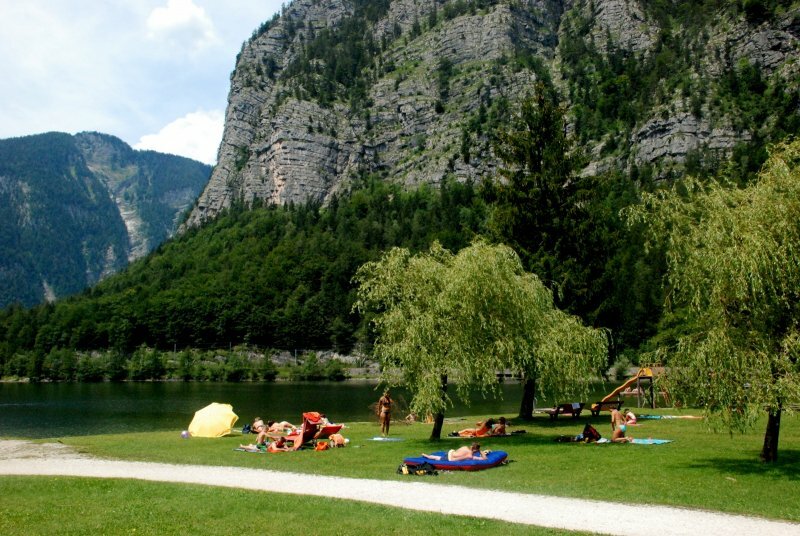 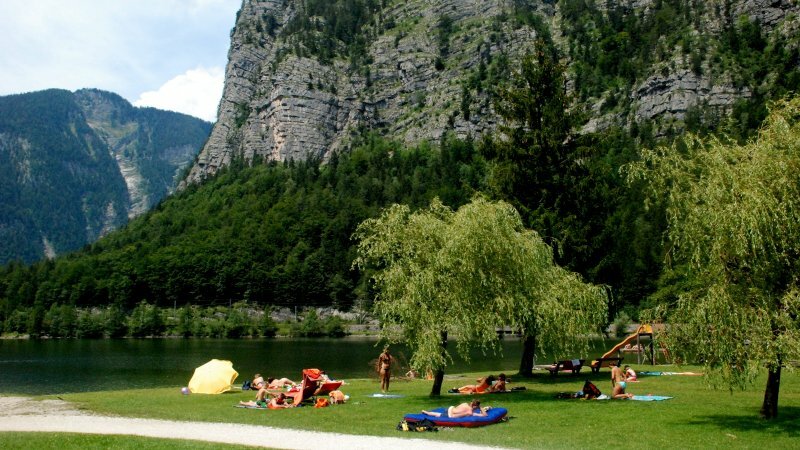 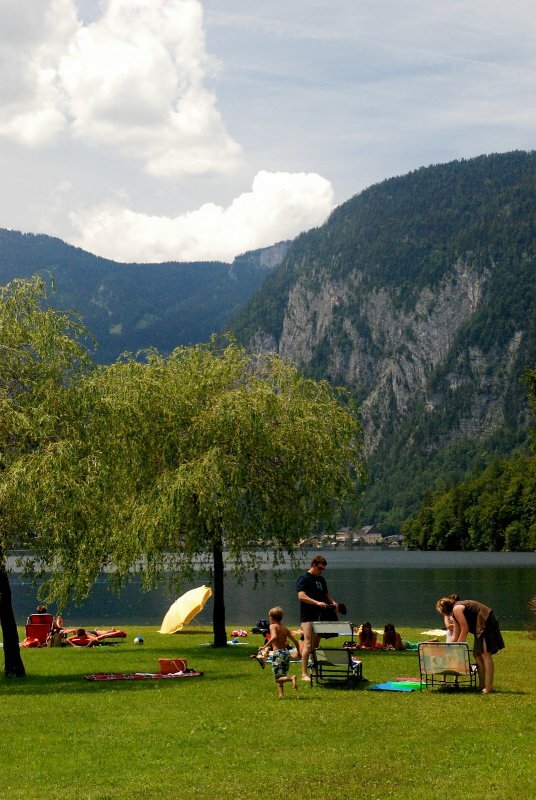 The family-friendly beach in Obertraun on Lake Hallstatt is one of the most beautiful and best maintained swimming facilities on Lake Hallstatt and scores high with guests and hosts in many ways: with a beach volleyball court, children’s playground, barbeque areas, water slide, and even free parking. 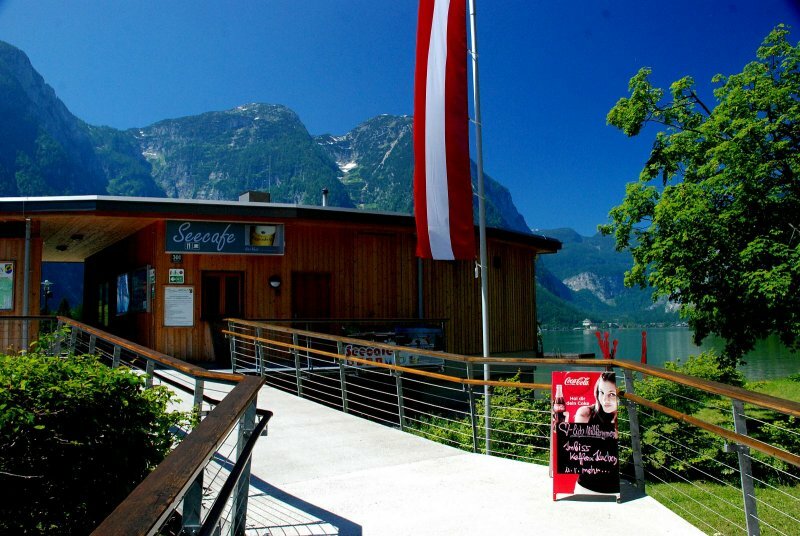 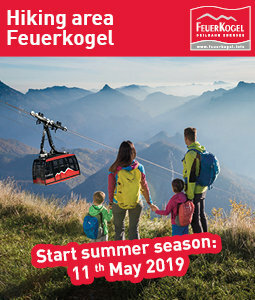 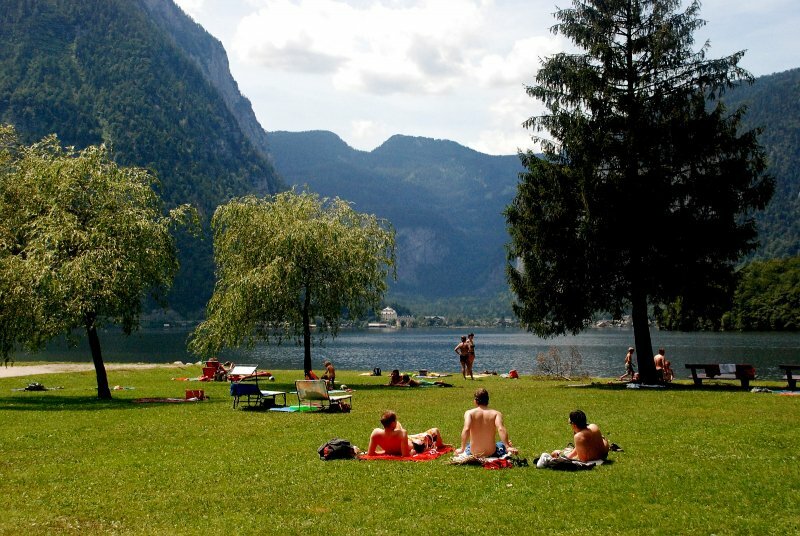 The large sunbathing area, the spacious changing rooms and the beautifully situated snack bar, with a variety of delicacies, are ideal for long swimming days in the World Heritage region of Hallstatt / Dachstein Salzkammergut. 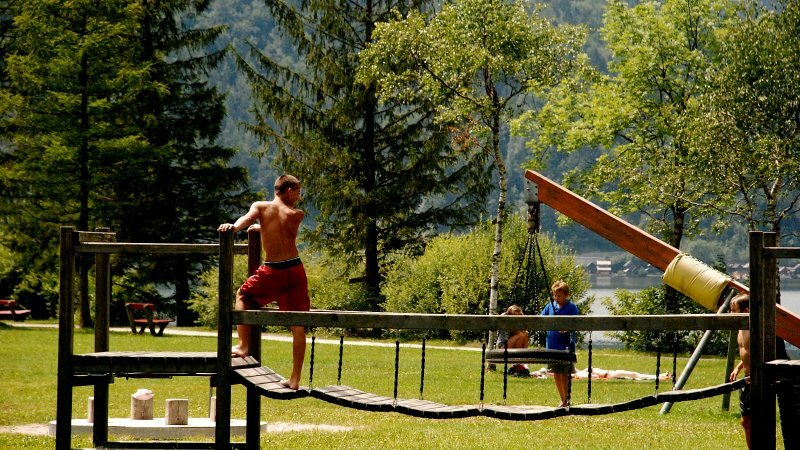 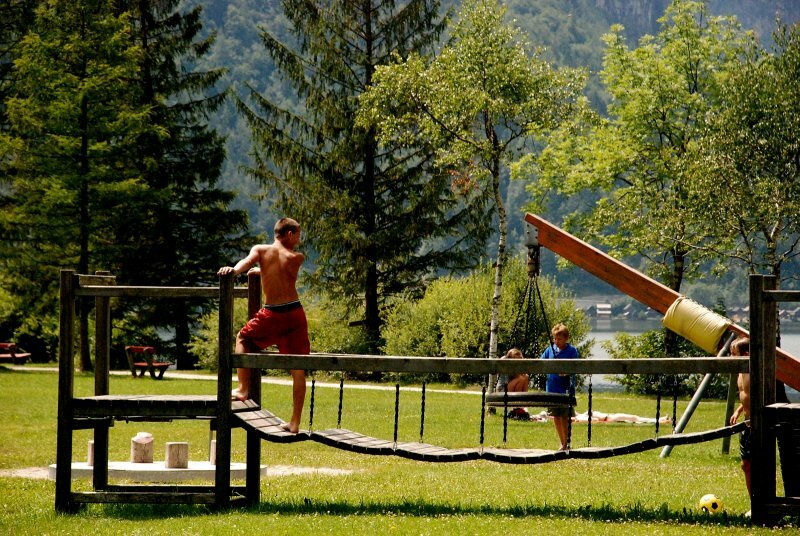 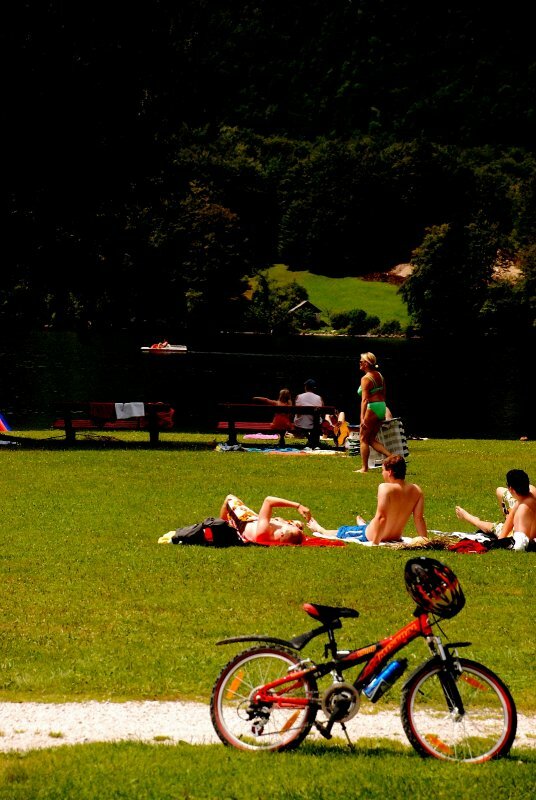 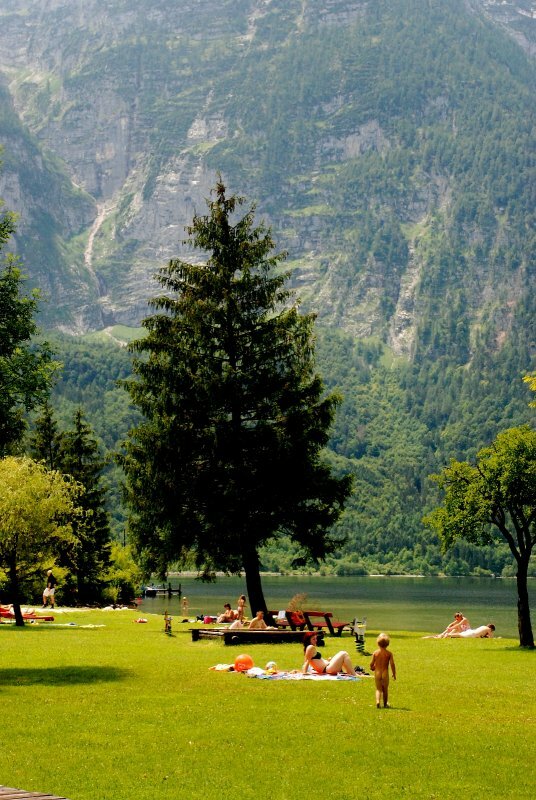 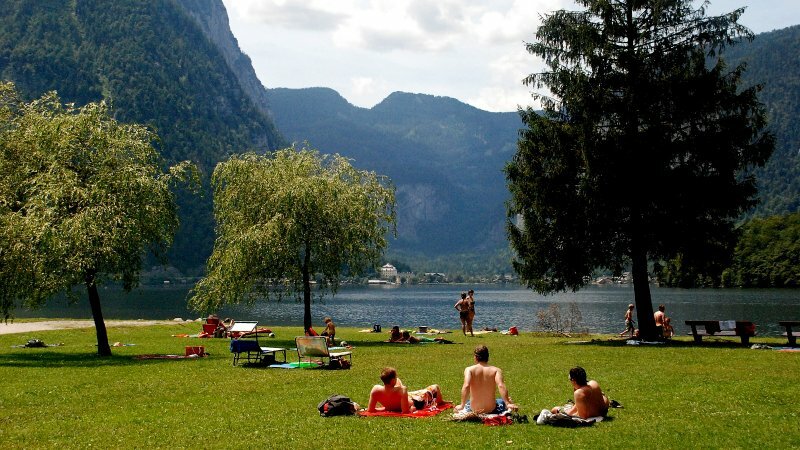 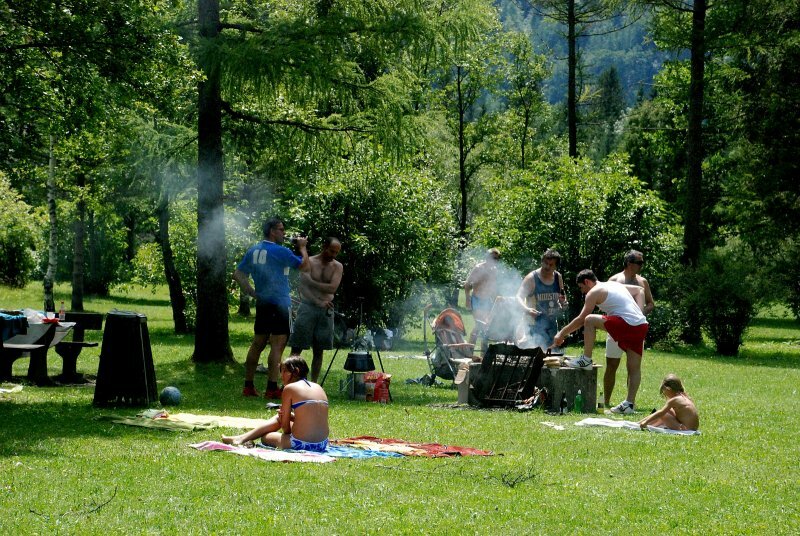 This is what makes bathing in Obertraun on Lake Hallstatt fun: Summer, sun, Salzkammergut! 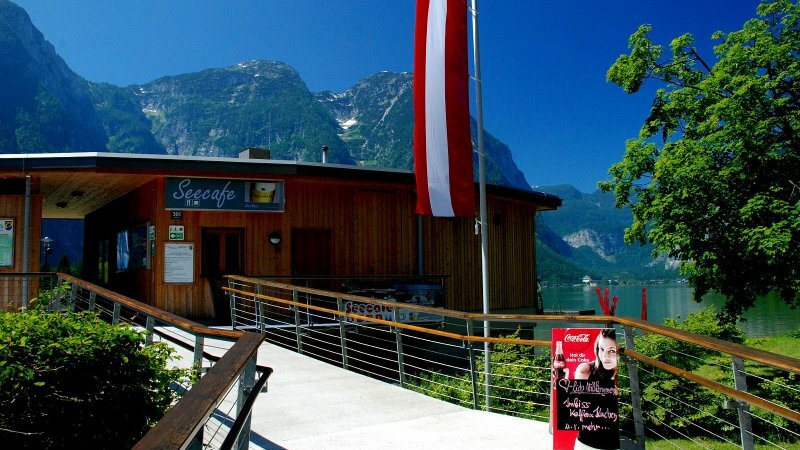 The Immervol bike rental is located directly at the See-Cafe & beach in Obertraun. 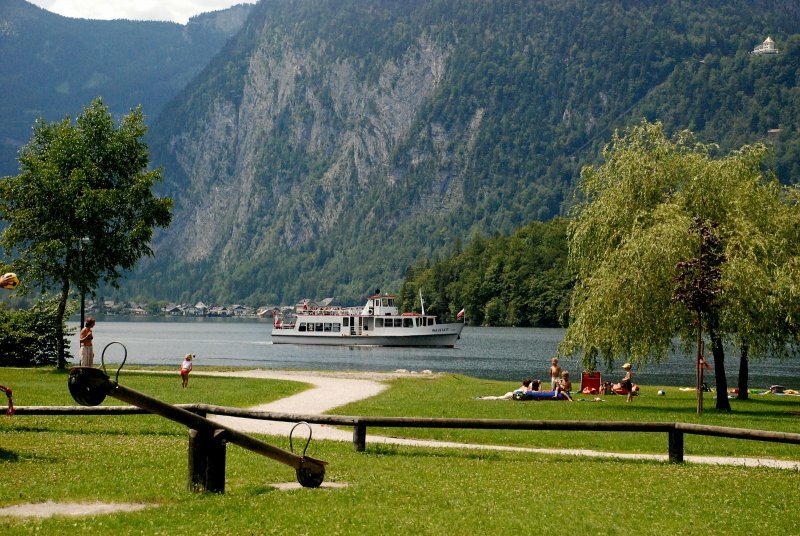 The perfect starting point for a bike ride along Lake Hallstatt on the “Ostuferradweg” for example. 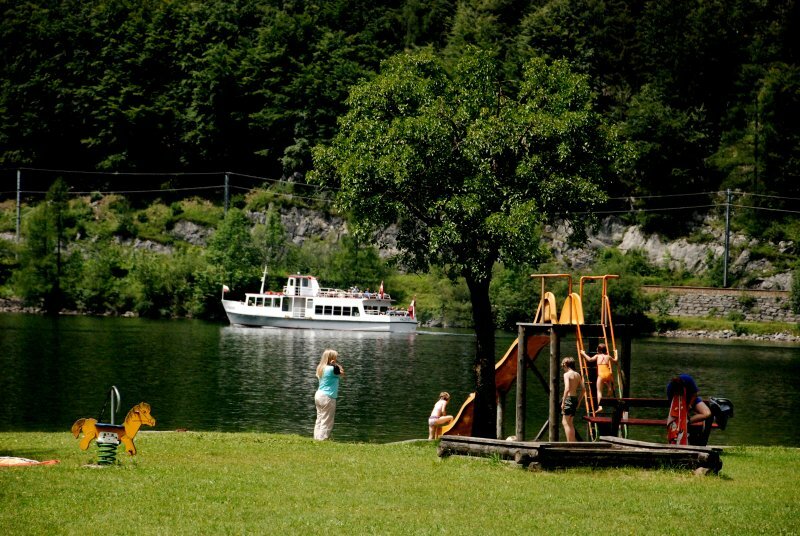 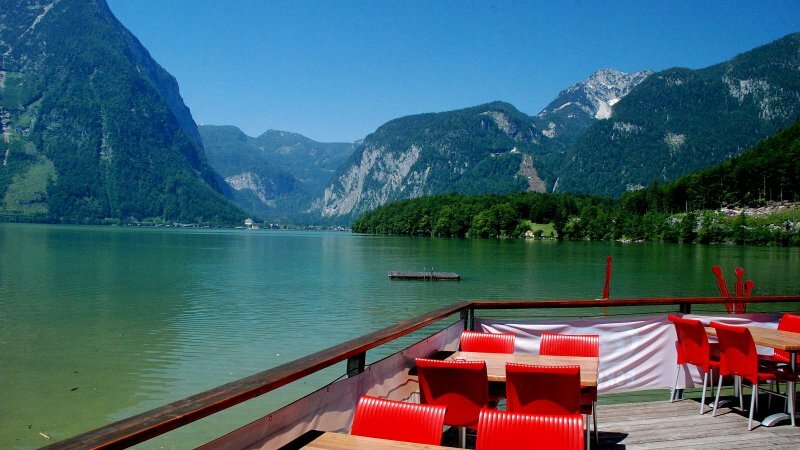 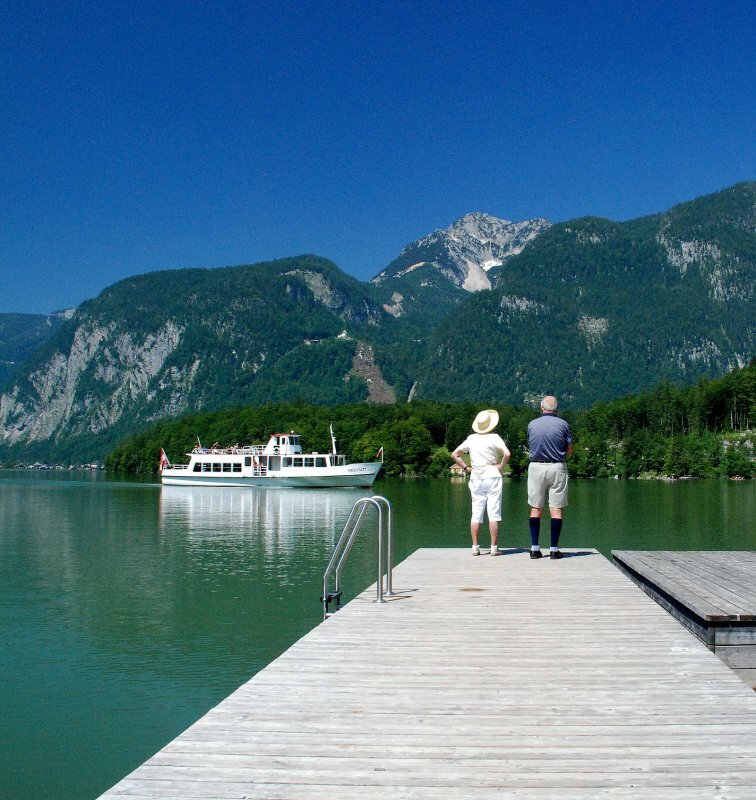 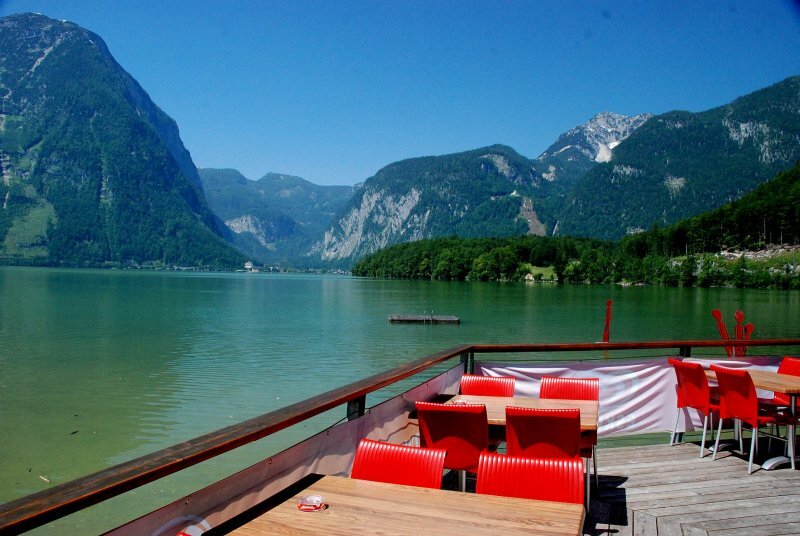 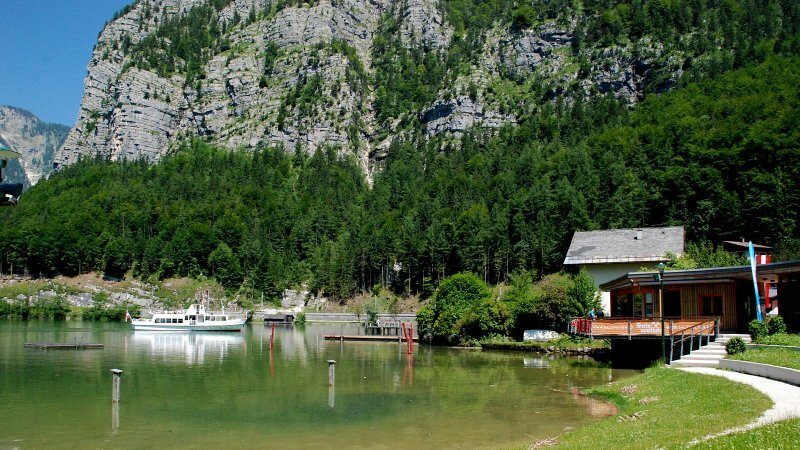 Obertraun | Immervoll boat hire: Located directly on the beach with lakeside café. 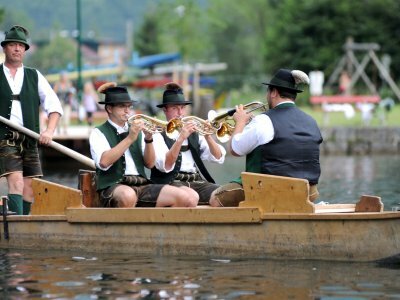 For ePirates, thigh pumpers thighs or biceps posers – for each captain, the right boat! 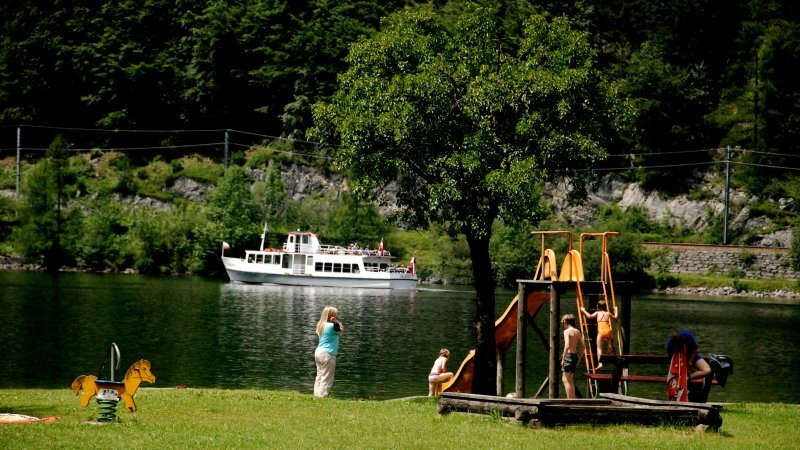 Ferry rides in ancient wooden boats, There’s plenty to experience on the wold wooden boats! 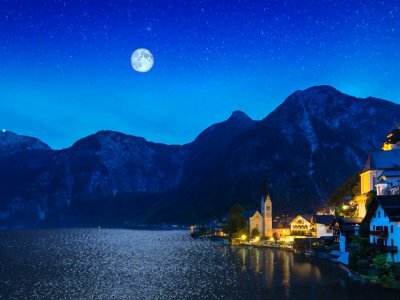 On this summer evening the Obertrauner bay becomes one of the most romantic places on Lake Hallstatt. 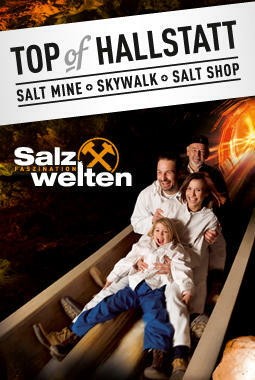 Here, fun with the element 'water' is at the forefront! 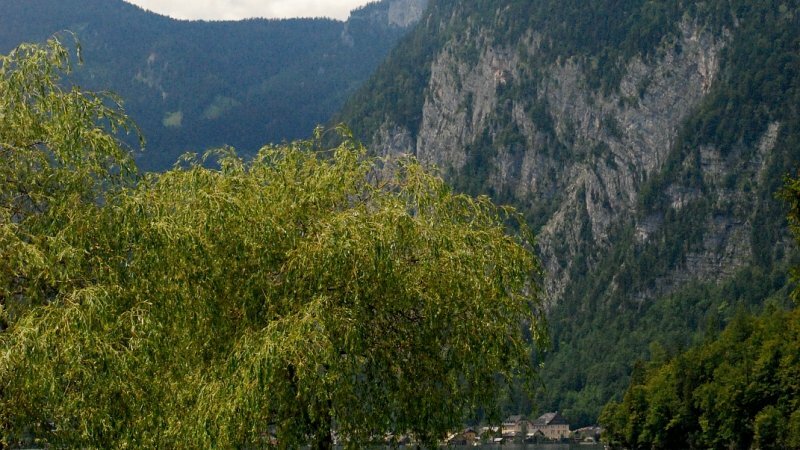 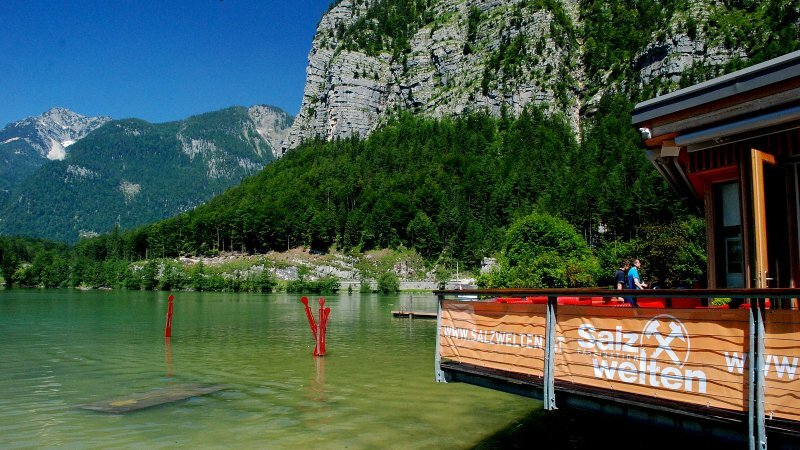 The “Lake Hallstatt swimming marathon” takes place on Saturday 3th August 2019, in the UNESCO World Heritage Region of Hallstatt Dachstein Salzkammergut. 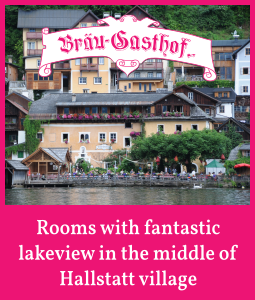 The Hallstatt Lake – Lake it! 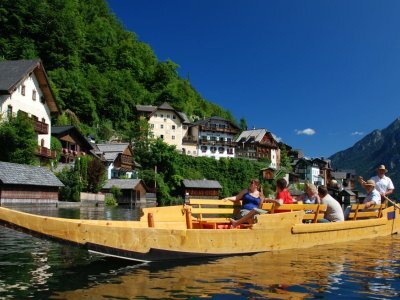 Already more than 200 years ago the world traveller Alexander von Humboldt appreciated Lake Hallstatt in the Salzkammergut and named Hallstatt "the most beautiful lakeside resort in the world". 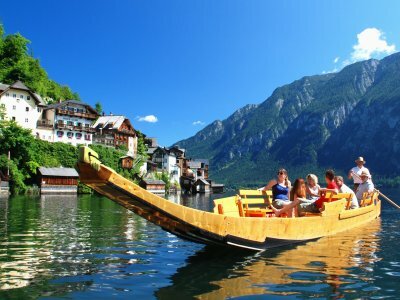 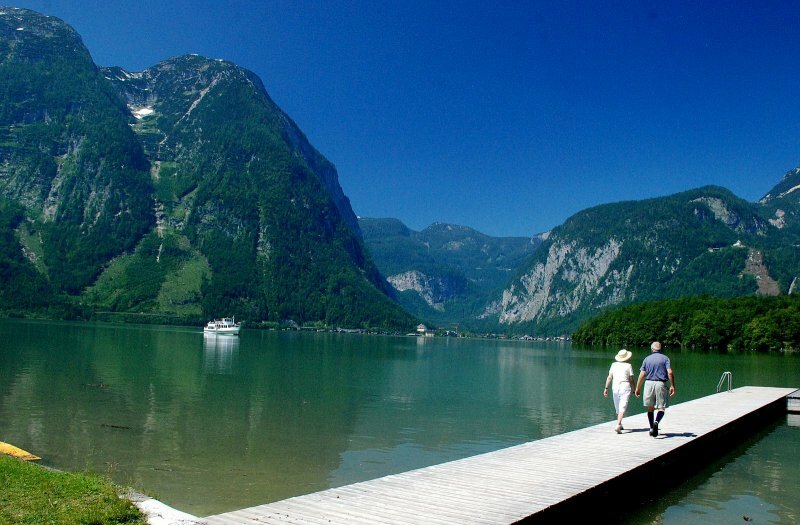 Now, just two centuries later, the numerous visitors from all over the world have also learnt cherish Lake Hallstatt. 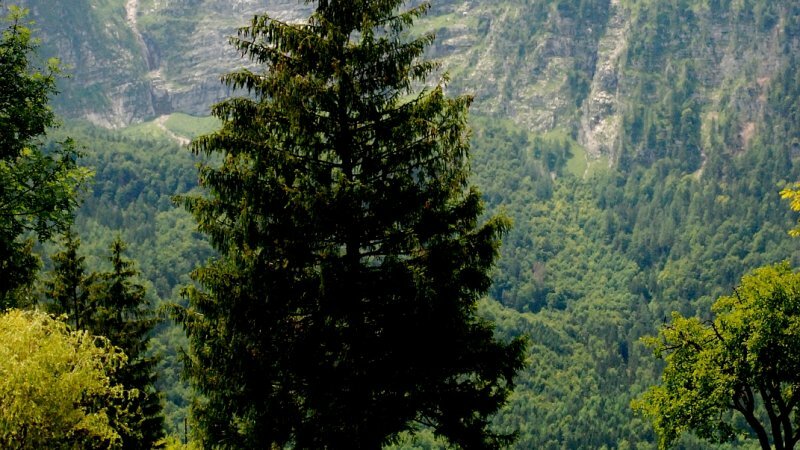 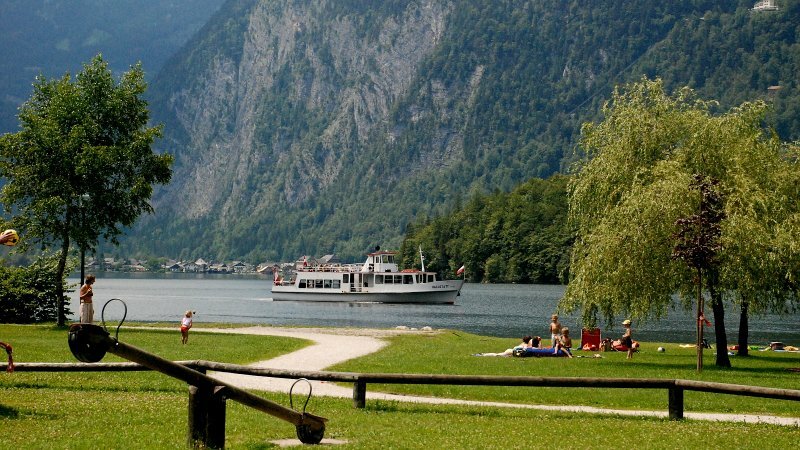 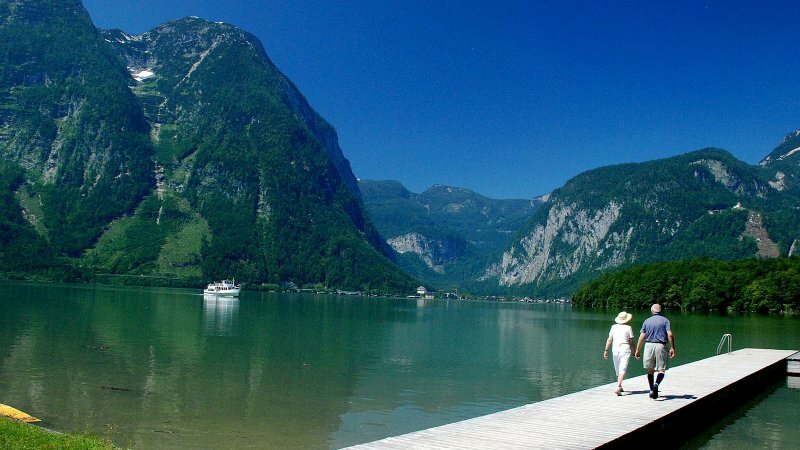 Whether for a romantic cruise with an electric boat or on board one of the excursion ships, whether it be bathing in Hallstatt, Bad Goisern or Obertraun, or hiking along the fjord-like waters - Lake Hallstatt in the Salzkammergut has captivated everyone. 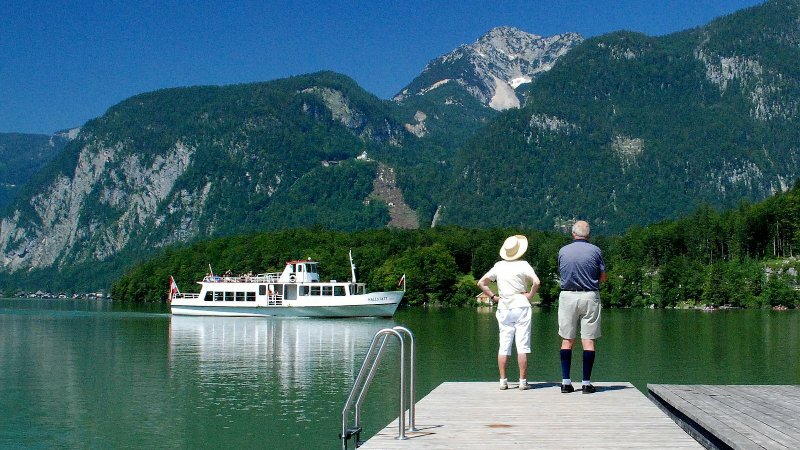 And so it is hardly surprising that on the water and on its shores, more and more recreation seekers are enjoying themselves. 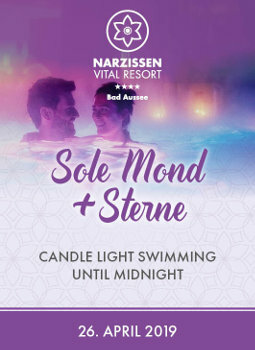 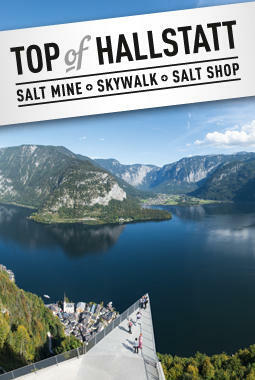 A holiday destination for those who are looking for variety. 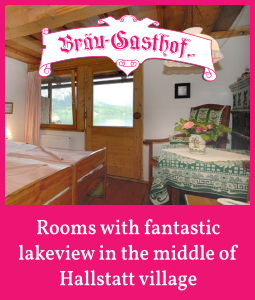 And when are you coming to Lake Hallstatt?